Please select an option Grey Orange Purple Red Please select a color. Please select an option 5 6 6.5 7.5 8.5 9 9.5 Please select a size. 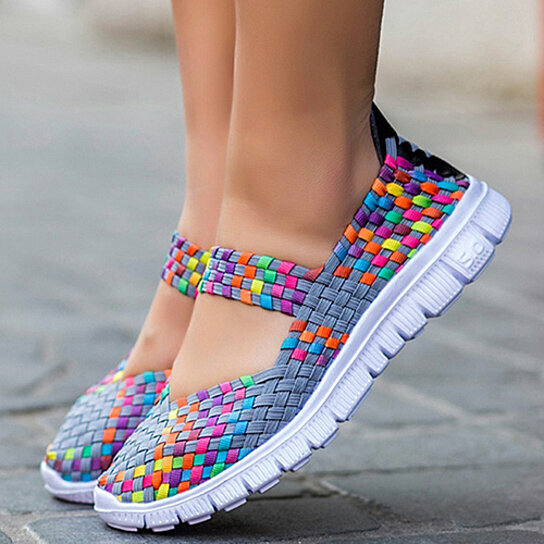 New arrival flat knit shoes, fashionable and comfortable. Occasions: Square Dance, Shopping, Office, Daily Life, etc. We do not offer return because choosing the wrong size.